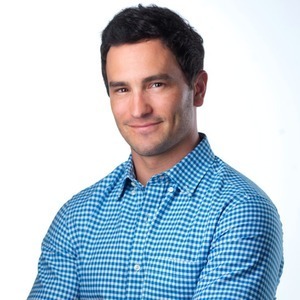 Unique amongst his peers, CEO Jeremy Bloom was a professional athlete. I don't believe there's another leader in our space that was a Hall-of-Fame inductee, three-time world champion, two-time Olympian and eleven-time World Cup gold medalist. Jeremy was an All-American at the University of Colorado and a 5th round draft pick to the Philadelphia Eagles. He also played for the Pittsburgh Steelers. He shares how his upbringing and attitude led to his competitive success, entrepreneurial success, and managerial style of leadership. Integrate made the news of recent, by tripling revenue, continuing a history of being cashflow positive, and building an investment team that consists of some of the largest names in the MarTech industry - including Scott Dorsey, Reggie Bradford, Dan Springer, and David Karnstedt. Integrate is a cloud-based, customer generation platform that utilizes artificial intelligence to score and predict sales opportunities. They orchestrate the entire top of the funnel and are expanding their platform into display advertising as well.